Everything Colorado Springs house cleaning related can be found here at Maid to Shine. We are honored to have been placed as the best house cleaners in Colorado Springs by the Gazette’s Best of the Springs. We are excited you have voted us the best house cleaners in Colorado Springs. This is now our second year with this prestigious award, and we are pleased to know that our clients love us so much. When looking for the best house cleaning companies in Colorado Springs, you want to find a company that offers consistency. We believe that this is one of the reasons we were voted Best of the Springs top cleaning companies. Maid to Shine enjoys being able to give a free quote before beginning any of the work for our clients. We believe that there are too many Colorado Springs cleaning companies out there that are looking to take advantage of clients – with Maid to Shine, that is not the case. We take everything into consideration, from background checks on our employees, and catering each and every cleaning service to our clients on an individual basis. Each home, and its needs are different – you shouldn’t get the same cut and dry cleaning service if your needs aren’t the exact same as your neighbor. Being voted as a top house cleaning company in Colorado Springs, only pushes us to continue to give our clients the satisfaction that they are looking for. We honor our 48 hour 100% guarantee on cleanings, free quotes, replacing valuables if we are found at fault, and being able to customize our cleaning services to anything you need. Did we mention that we give you a free cleaning when you refer a friend or family member and they become an regular client? We love to give back to our clients! Being voted as a top Colorado Springs house cleaning service through the Gazette means so much to us. That means that our effort we are putting in to ensure our clients are 100% satisfied on each and every job speaks for itself. We would be honored to have you as one of our clients if you are not already – call for a free quote today! Did this help you? Post a comment and tell us about it. 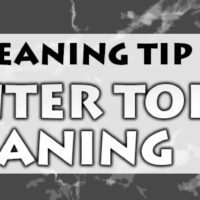 You can find other time saving House Cleaning in Colorado Springs tips from Maid to Shine.